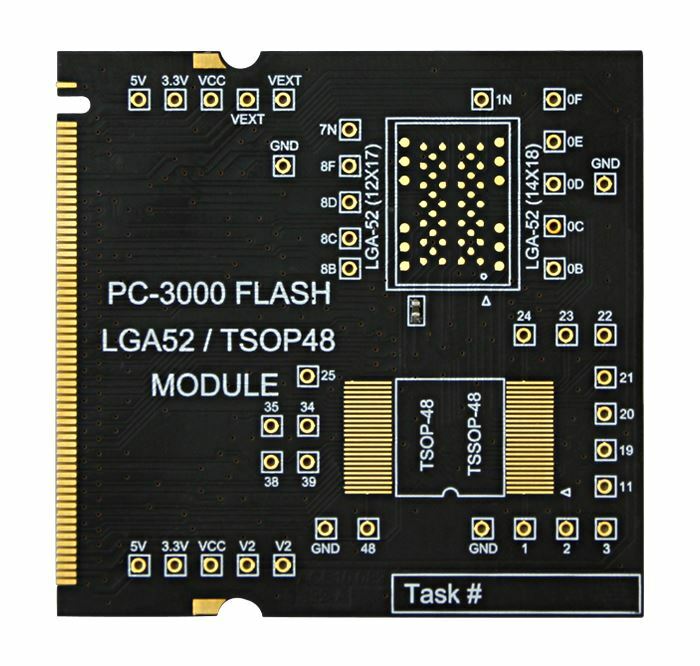 The PC-3000 Flash is a hardware-software system intended for recovering data from all NAND based devices (USB Flash Drives, SD, MS, xD, MMC, CF, VoiceRecorder, iPhone etc.) in such cases where there is no access through the authorized drive interface. The PC-3000 Flash can make low-level diagnostics and repairs of SSD drives in technological mode. 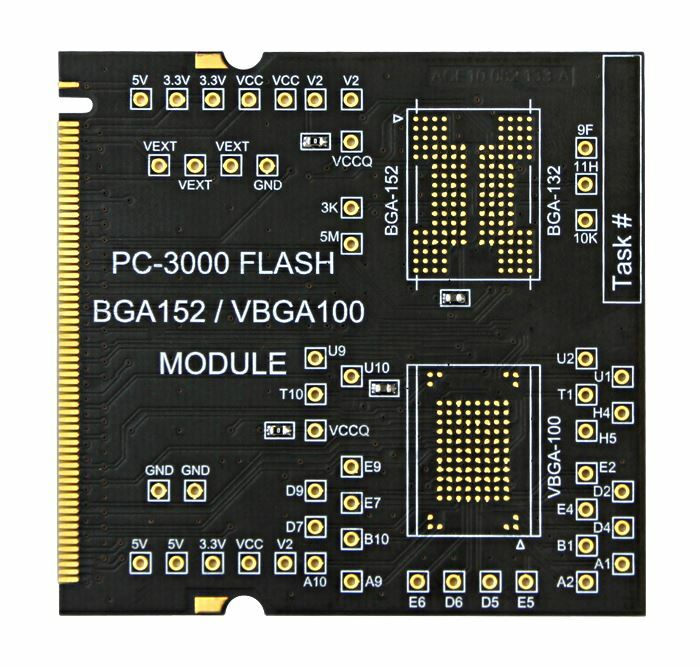 The PC-3000 Flash is based on ACE Lab’s “know-how” technology of getting direct access to Flash memory microchips. The microchip is desoldered from the storage device and read by – the “Flash reader” – providing access to data when the controller is damaged. This technology greatly increases the chances of successful data recovery even when the storage device is physically damaged. 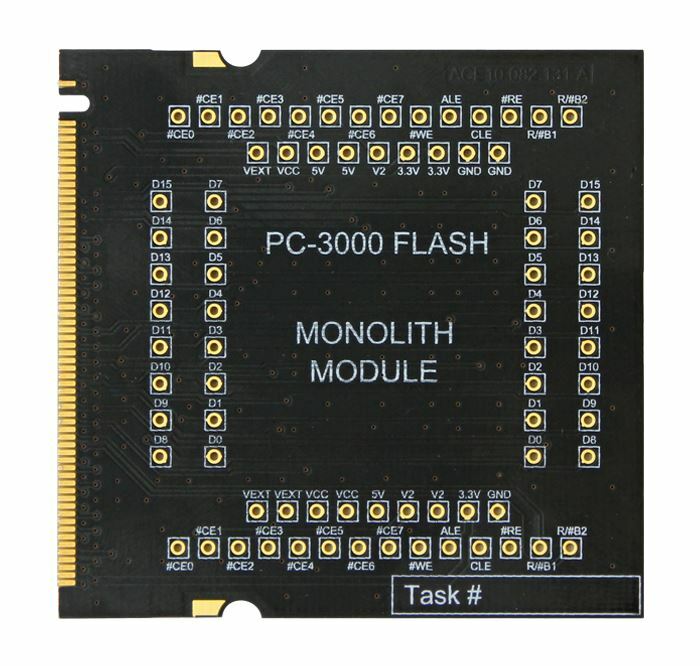 The PC-3000 Flash contains an up-to-date large memory chip database that allows you to identify and read microchips in automatic mode. Complicated stack organizations which consist of several parts are automatically detected by the PC-3000 Flash as well. NAND microchip technology is constantly changing: microchips are becoming more high-tech, new principles of functionality are created and new requirements and protocols for microchips appear, for example, TLC microchips. Because of this constant change, the Flash Reader software is continuously updated to provide support for new microchips in accordance with the strict requirements necessary for correct functionality. If there are any new resources, they are downloaded from the ACE Laboratory server and updated. In addition to a great variety of manual and visual modes, the PC-3000 Flash has automatic data recovery methods which help solve both simple and difficult cases. For example, in most cases, Complex analysis allows for making all prior operations automatically and get access to user data. With the PC-3000 Flash, you can recover data with “one-click” using the PC-3000 Flash Global Solution Centre. It is a dream come true for data recovery specialists! The Global Solution Centre is updated daily! The list of controllers supported by “Global Solution Centre” can be reviewed here. PC Flash Reader – 1pcs. 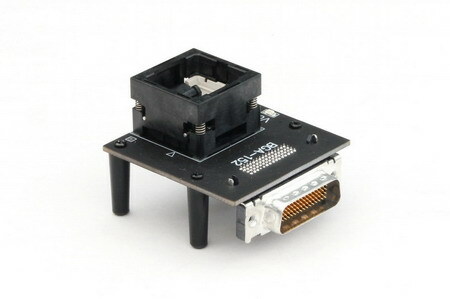 LGA/TLGA-52 adapter (14×18) – 1pcs. 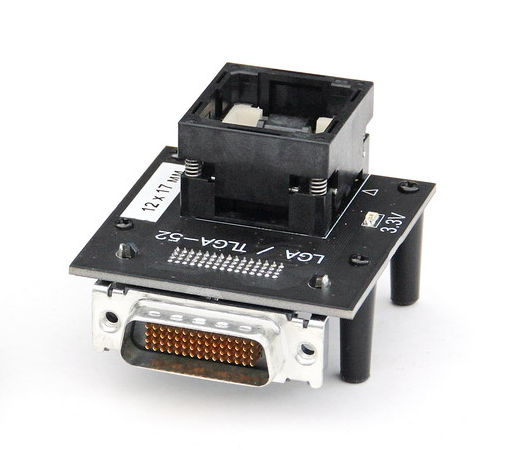 BGA-152 adapter – 1 pcs. 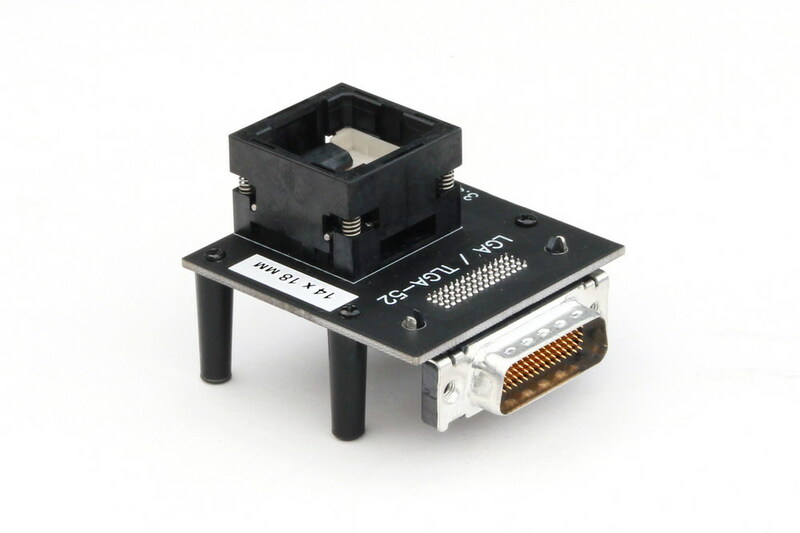 Circuit Board adapter – 1 pcs. Connectors Set – 1 pcs. USB 2.0 Defender Cable – 1 pcs. User Manual – 1 pcs. These adapters can be bought individually for your needs. The 25 specialized needles on the adapter will enable you to find a convenient way of connecting to pinouts, no matter how they are located. The GND and VCC pins are fixed by screw connectors for convenient usage. The adapter is developed specifically for use with a microscope. You will be able to recover data from several monoliths at a time using the convenient Multiboard with replaceable modules and recover data from SD, microSD memory cards and MMC, eMMC chips.